MAIENFELD, Switzerland — Millions of American schoolchildren have adored her. For that matter, so have Russian, Japanese, French, and Mexican children. 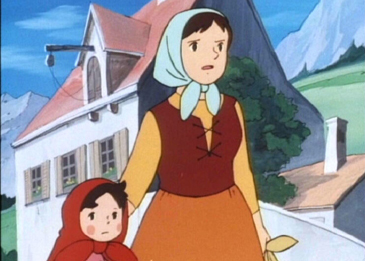 The story of "Heidi" — created by Johanna Spyri — has been translated into more than 50 languages and passed down through generations. Now readers can walk through the pages of the book. Heidi, as banners and brochures proclaim, is "Switzerland's Most Famous Girl," and she comes alive in Maienfeld, a small mountain village in southeast Switzerland, an hour's drive from Zurich. It was here that Spyri, who loved to take vacations in this region, set her most famous book, "Heidi." 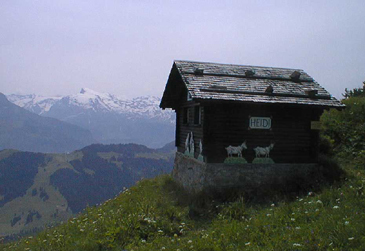 In the early 1990s, Heidiland, a project sponsored by Swiss tourism and private funding, opened to the public here. It was rededicated three years ago during the 100th anniversary commemoration of Spyri's death. Heidiland has a museum, hiking trails, grazing goats, pine woods, and wildflowers sitting above a picturesque and sparsely populated village below - all surrounded by the magnificent, snow-capped Alps. The sounds you hear are bird songs, distant cowbells, and water meandering down the mountains. This is a place for those who want to get off the beaten track - no crowds, no parking lots, no noise. There are only three structures on the property, the largest of which is Heidihaus, a 300-year-old, two-level stone house turned into a museum. Inside, the story of Heidi is "told" in detail. "This is where the alm-uncle carved furniture," said our guide. "Here you can see where he dried goat meat and made the cheese and butter Heidi loved so much." The ancient tool for shearing sheep, the cutting utensils, the snowshoes, and the wood and wicker wheelchair, such as the one Heidi's friend, Klara, used, are all replicas of the time, and set up carefully so as to illustrate the story. Yet, Heidi has taken on a life of her own in this area. While many in the world of literature insist that the story is entirely fictional, our guide, a woman in her 70s, said many Swiss believe that Heidi was a real girl. "Her name was Majali, and Spyri met her while on vacation, and was enchanted with this child who told Spyri how she was forced to leave her beloved alm-uncle and the countryside to move to the city." Inside the dirt-floor Heidihaus, the walls, a foot thick, appear to be made of stucco and concrete. The wooden beams are hand hewn and rough. Downstairs, there is a room "where butter was churned, and the drying meat was hung high," out of reach of field mice. (For especially curious mice, there is a guillotine-style mousetrap.) Leaning against the wall are skis - wooden blades and rope to tie them on. As you go up the narrow, winding staircase, you find little hiding places built into the walls - talk about nooks and crannies! The guide asked if I'd like to get into Heidi's bed "and feel its bumpy mattress and coverlet of straw." I did, much to the amusement of a few giggling children, and while I would have preferred a down comforter to the scratchy coverlet, I had a good idea of how the little country girl slept. 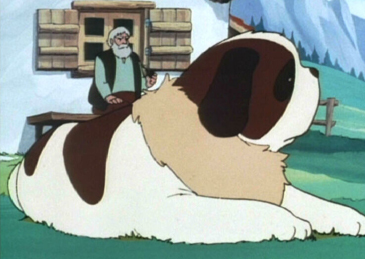 Then I realized that I, too, had started thinking of Heidi as more than just a character in a children's story. Outside, we studied maps of a hike, designating 12 stations of the Heidi story, including the goat-herding area, Peter's shed, and the alm-uncle's house. We walked some of the way, and while standing high on a cliff, I could imagine Peter angrily throwing Klara's wheelchair down, turning it into splinters. My husband and I wished that our grandchildren had come along to hike with the small tourists (some as young as 4) who brought their parents and grandparents from the United States, Europe and the Far East. We walked casually around the displays and watched a delighted little girl feed chickens - something children can do while the grownups sit on benches, peacefully taking in the scenic atmosphere. A wooden cart and hand-carved wooden cow beckon tourists over for a closer look at workmanship. These items, like all the furniture in Heidihaus, are handmade, and some pieces are so old you can see wormholes in the wood. Yet, unlike in many other museums, children may touch tools and utensils - and even poke their shoes into the dirt floor, making designs with the soil and rocks. But Heidiland and Heidihaus are not strictly for children. When I was young, I loved the story of the little girl who changed her life from one of misery to one of hope, maturity, and happiness, and in so doing, changed the lives of the others. During our tour, grandparents were discussing the story with youngsters in different languages. It's a timeless tale that transcends generations and geography. Almost all readers, no matter the age, love a well-written story with characters they can care about, a story filled with emotion, good and evil, and finally, a story where the heroine triumphs over adversity. And here we were, in the beautiful area in which the story was set. Heidiland is open from March through Nov. 15. You can get to Maienfeld from Zurich by train in an hour and 15 minutes. 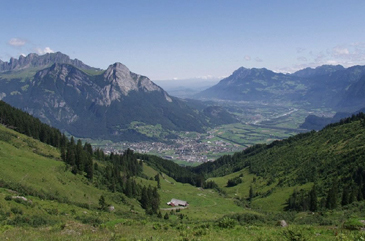 Families may also want to visit Bad Ragaz, which is also part of the "Heidi" story. It's about 15 minutes from Maienfeld. The above article is from CSM.